Set Of Cards With Cartoon Styled Unicorns And Inspirational Lettering... Royalty Free Cliparts, Vectors, And Stock Illustration. Image 105466449. Vector - Set of cards with cartoon styled unicorns and inspirational lettering. Greeting cards with motivational quotes. 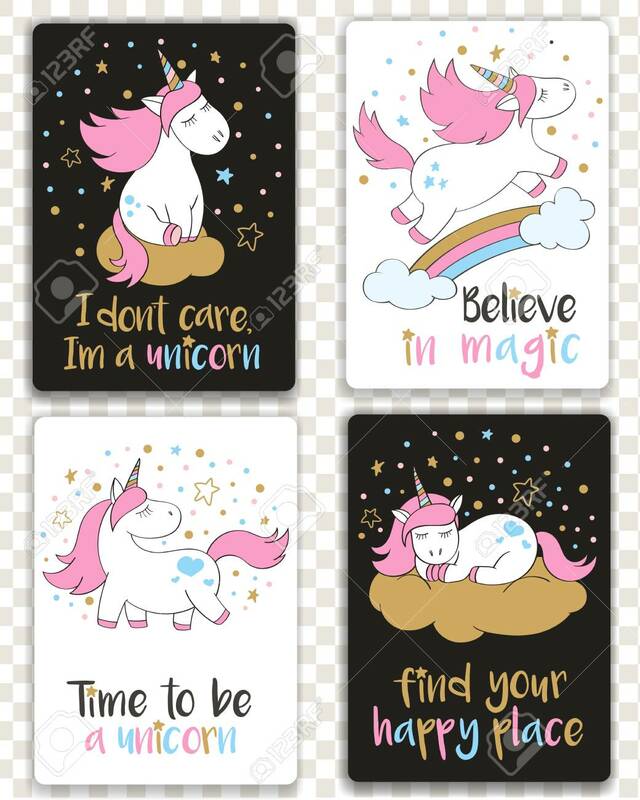 Set of cards with cartoon styled unicorns and inspirational lettering. Greeting cards with motivational quotes.